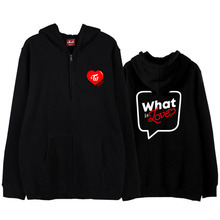 This simple, soft and warm hoodie with TWICE logo and letters “What is Love” will make your wardrobe better! Choose color and share with everyone your love for k-pop! Item exactly as described. Excellent quality. Looks amazing! 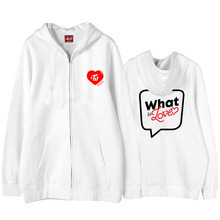 hoodie is well made and cute. really recommend. So soft and comfy!! shipping was fast!! 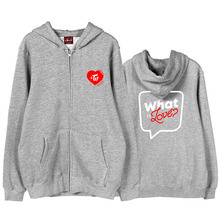 I want one more =) thanks a lot!